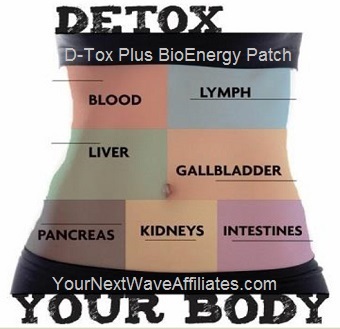 Frontal Lobe (Brain Trauma) – BioEnergy Wearable Patch * $39.97 Special! $39.97 with coupon – Enter coupon code “gift4me”at checkout! 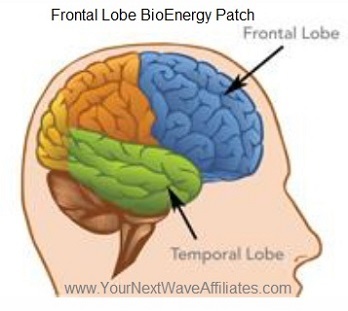 The Frontal Lobe BioEnergy Patch provides essential bio-frequencies to support and encourage neurons to grow which contribute awareness and healing to the frontal and temporal regions of the brain. The Frontal Lobe patch is designed to help find new pathways that are essential to favor cell repair and to stimulate reconstruction of new neural cells in the brain. The Frontal Lobe Patch is designed to help find new pathways that are essential to stimulate and encourage growth of healthy brain nerve cells in order to lessen such typical brain trauma symptoms as inappropriate emotional responses, depression, post traumatic stress disorder (PTSD), obsessive compulsive disorder, and/or bipolar disorder, etc. The Frontal Lobe Patch can improve communication to the brain which aids effective recovery from frontal and temporal lobe brain trauma. Consider using the Frontal Lobe BioEnergy Patch when experiencing symptoms associated with brain trauma that negatively affect areas such as: cognitive skills, personality, multitasking, prioritizing, speech and ability to communicate, facial expressions, motor function, problem solving, spontaneity, memory, language, initiation, judgement, impulse control, social behavior, emotional expression, environmental risk and danger assessment, and/or sexual behavior. The frontal lobes are among the most common place for brain injuries. The frontal lobes are extremely vulnerable to injury due to their large size, their locations (right and left) at the front of the cranium above the eyes. Frontotemporal disorders usually result from neuron damage to the frontal and temporal lobes which can cause difficulties in thinking and behaviors normally controlled by these lobes. 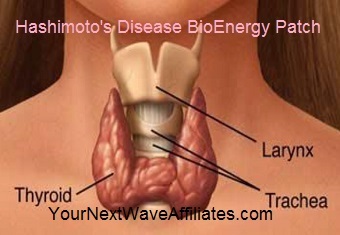 Many potential symptoms can result including unusual behaviors, emotional problems, trouble communicating, difficulty with work, or difficulty with balance and/or walking. The frontal lobe are considered the emotional control center and home to personality. They direct executive functions including planning and sequencing, prioritizing, multitasking, and monitoring and correcting errors. The left frontal lobe is usually involved with controlling language related movement; the right frontal lobe usually plays a role in non-verbal abilities. Some researchers emphasize that with many people both lobes are involved in nearly all behavior. The right frontal lobe controls the left part of the body; the left frontal lobe controls the right part of the body. The brain is remarkably resilient and capable even to repair itself by growing new cells. The Frontal Lobe patch is designed to help find new pathways that are essential to favor cell repair and to stimulate reconstruction of new neural cells in the brain. The Manufacturer recommends wearing the Frontal Lobe Patch for 30 days to improve communication to the brain and to balance brain activity, and if needed, to continue use for an additional 30 days. To see Frontal Lobe BioEnergy flyer, click here.